Today’s post comes to us from Roger Whitson of the Digital Scholarship Commons (DiSC) at Emory University. Roger kindly stepped forward when I asked for a guest post on the often asked questions: Should I have a professional academic website? And if so, what should it do? I’m so pleased to have this post to both answer those questions, and demonstrate with lots of live links how to go about creating such a website. Thanks for this, Roger! I have to admit, I’m a little biased. I have been interested in personal and professional websites since around 1996, when I created my first website in college. I enjoy having a web presence. I like the idea that my friends can contact me and keep up with what I am doing. And I admit that I’ve said things I definitely wouldn’t want a job committee looking at online. When my colleagues tell me that they don’t want to have a professional website, I can understand the fear they have of saying or doing something that will come back to haunt them. So, why am I an advocate of creating a professional website? As a member of the Digital Scholarship Commons (DiSC) at Emory University, I believe academics should use digital technology to their benefit. Part of using digital technology positively is understanding and taking control of our online identity. It is almost impossible to not have an online identity these days. If you have ever responded to a blog post, you already have an online identity. If you have participated in a message board, or created a Facebook account, or wrote an amazon review, you already have an online identity. For me, it isn’t a matter of staying completely off the grid, it’s a matter of consciously crafting your online identity so that it most effectively presents who you are to potential employers. Why should I have something other than my academia.edu site? Certainly, academia.edu might be enough for some academics simply wanting to have a single academic presence online. But, for those of us interested in business opportunities, non-academic and alternative academic jobs, other online services are important. Scholars are increasingly communicating on Twitter and writing blogs about their teaching and research. Different disciplines and fields might approach these technologies differently. Someone interested in the digital humanities and computer science, for example, may need to have a more robust digital presence than someone working in a more traditionally print-oriented field. Every year, DiSC conducts a very useful workshop on using online services like academia.edu, LinkedIn, Facebook and Twitter to control what happens when someone searches for your name on Google. Here is a video of that workshop. I like to have a professional website, because I can control almost every aspect of that site. I, then, use sites like academia.edu and LinkedIn to point people to my professional site. Having more sites that you can control also gives you more control over what people see when they perform a Google search on your name. Take a look at me. Professional websites, LinkedIn, academia.edu, Facebook, Twitter, and other sites tend to score very high on Google search results. What should my website do? I see my website as an online hub for my accomplishments and current projects. I include a copy of my CV, using a paper-sharing application called Scribd; a brief account of my research and digital scholarship; my teaching portfolio, with a teaching philosophy, student evaluations of my work, sample syllabi, and links to student projects; embedded Prezis of my most recent conference presentations; and videos presenting my teaching and research. I feel that my professional site allows my job applications to come alive. Not only do employers see that I presented on collaborative reading and annotation in the classroom at the 2012 Modern Language Association conference, they can read that presentation, and see a video of me giving an introduction to the presentation at the MLA. Finally, I like to keep a blog on my personal website. This allows me to quickly point people to changes in my CV, like receiving an award, being quoted in a magazine, or accepting a new job. What should my website look like? The design of your website is important. It helps to characterize you as a professional and an academic. Since I am interested in technology, scholarship, and teaching, I wanted a site that looked contemporary and gave evidence for my digital skills. The rounded edges, the overall clean and non-cluttered design of the site, and the multiple links to other social networking sites show that I am heavily invested in social media and design. I also wanted my site to establish my name (“Roger T. Whitson”) and my visual identity. If you look, I have the same picture on my header, on my Twitter profile on the right, and on the favicon displayed in the URL bar. This photograph is also repeated in many of the social network sites I frequent. Further, I try to use the same username (“rogerwhitson”) on those same sites. The point is to create and maintain a consistent message about my identity. Fellow DiSC member Brian Croxall does the same thing. The design of a professional site gives you a good sense of an academic’s professional identity. Doris Bremm has a minimal online website (including only her CV, a brief page about her Spring 2011 class, and a discussion of a film series she curated), whose design visually reflects her dissertation’s focus on visual art. The pixelated background to Zach Whalen’s site references his scholarly interest in video games. Anne Pollack’s site features diagrams of hearts and pictures of researchers in order to foreground her work in biomedicine and pharmaceuticals. Where do I go from here? There are several different platforms you could potentially use when designing a professional site. Some scholars use a simple WordPress.com site. In fact, DiSC also has a very useful workshop on creating a WordPress.com site. I like WordPress because it is an easy platform to use and is open-source. Further, WordPress.com sites usually take very little time to set up, you can choose from many different themes, and update them when you want. I downloaded my own WordPress package from WordPress.org and use a site called Hostmonster to be able to have my own domain name. While WordPress.com hosts websites, WordPress.org gives you the WordPress program to set up your own website whereever you want. Some people are fine with having http://yourname.wordpress.com, but I like the idea that people can easily remember my URL (“http://www.rogerwhitson.net”). You can pay for WordPress to host your domain name, but there are further advantages to using WordPress.org. These include the ability to extend the functionality of your website using plugins. I use several plugins on my site including Blackbird Pie, which allows me to embed Tweets into my site; WordPress GoodReads Bookshelf, which displays images of the books I’m currently reading; and Vimeo Quicktags, which allows me to embed videos uploaded to the Vimeo site easily. Some scholars also use Drupal, code websites themselves, or hire a professional developer but these are solutions that are often too complex and/or expensive to really help individual scholars. I am also able, should I decide to do so, to change the design of my theme by using CSS in the Editor on the WordPress dashboard. Ultimately, the choice to create a professional website depends on a number of factors: who is your potential audience? Are the schools you are applying to invested in digital technology? Does your professional identity include technology in any significant way? While many academics may not want to create a professional website for precisely these reasons, controlling your online presence is becoming increasingly important as employers gain skill in using digital technology. Creating a professional website is one of many tools you can use to make sure the message potential employers get from the web is the message you intend. One question that I have and others frequently ask me is the following: as a graduate student about to be on the job market, is it better to have a website associated with your University or instead/also to have a private one, i.e. wordpress etc. While a private one does give you more functionality and control in terms of content (most likely as Universities are fairly restricted frequently in terms of what you can do to your Univ. site) I’ve heard people say that having a private one (i.e. http://www.myname.org) makes it look like you’re a permanent adjunct/freelancer and not connected to academia…..any thoughts? Great question David. For me, it’s important to have a permanent name based domain and a University identity. Of course, you don’t want to seem like a permanent adjunct, but you also (as you say) don’t want to be limited by what the University says about you. Further, it is much easier to remember http://www.myname.org than it is http://www.department.university.edu/users/~myname.edu. Finally, when you do change jobs, it is much easier to maintain the site you already have than it is to move your site from one server to another. I can understand the hesitation to be identified as a permanent adjunct. 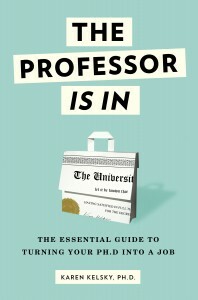 However, I know plenty of tenured professors who have their own domain name. Ian Bogost is one (http://www.bogost.com/). You can also easily list your University affiliation (as Ian does, and I do) on your website. When choosing a domain for your website, do you have any recommendations? I notice most of you and your colleagues chose .net. [THIS IS FROM ROGER]: I tend to pick .net or .org because I don’t want my site to be misconstrued as a commercial site – which is what usually designates .com sites. But it is a personal preference based upon my own scholarly identity, I’d say. Great post – thanks for all the links here. I was looking at Scribd’s about page to try to figure out what it is about, and what the advantages of working with it are, but wasn’t super clear on what the difference is between the Scribd service and just posting a PDF on my site. Could you clarify? [THIS IS FROM ROGER]: Scribd allows you to share .pdfs over the web. I use it to embed my syllabi on my websites mostly b/c I like having the ability to show off my CV without forcing my users to download it. You could just create a link to a .pdf file, and that would be fine, but to my knowledge it is more difficult to embed it in a webpage without a service like Scribd. Thanks for an incredibly rich post! Thanks for the advice. I just created my own professional website so this will help me a lot. Just one question – is it tacky to include the website on your cv? not tacky at all; increasingly common. it would go up in the address material at the top, under your name. Thank you very much for this helpful advice and timely reminder. I’m still in training but as soon as I have my professional qualification,I’ll ensure that I have a permanent based domain. Roger, thanks for this great posting. I will re-read it again. What webhost do you use and its cost. I am looking into having a personal website and have been quoted by one source as much as $20k and $300/month to another for between 7 and 9K with a $50 monthly maintenance. I’m not Roger (obviously) but I went with Bluehost. Bluehost has different levels but I think I pay something like $5/month for more than enough space for an academic website. I went with Bluehost primarily because they have one-click installs of a lot of popular web-building tools, like Weebly, WordPress, and Drupal – which is useful if you don’t know HTML/CSS/PHP. It comes with one domain included in the price. In addition, there are many newer cloud-based services such as Strikingly, et al., that are entirely templated and customizable to easily create very attractive, modern sites that are also mobile-friendly. They generally include free graphics, plug-ins to add functionality, and offer paid add-ons such as hosting, custom domain names, etc. Costs are very inexpensive… as little as $4/mo to $14/mo with the 50% academic discount. Unless you have very specialized needs that involve a lot of custom programming, there is no reason to spend thousands of dollars on a website anymore. Great site and very helpful. Question: I’ve been retired 11 years. How do I know if my web site as listed effectively portrays my current and past accomplishments? And, is there a company or person you recommend that I should contact to update my web site, What should I pay? Thank you for this helpful post! My question is, At what point in my academic career should I create my own website? I am a doctoral student but have not taken my qualifying exams yet (that’s coming next fall). Would it be presumptuous to make a website for myself without having advanced to candidacy? Hi there. I’m a bit late to this post but hoping for some thoughts. I have two websites – one more of an ‘academic’ profile site (http://www.samanthaandrews.wordpress.com) and one for my work as a marine science communicator (http://www.thehoboscientist.wordpress.com – The Hobo Scientist is my registered business name). I’m just (finally) starting a PhD and, in the interests of tidying up a bit, am curious if I should merge these two sites or keep them separate. They represent heavily linked yet also separate parts of my professional life that I would like to maintain on the web. Some thoughts would be very much appreciated.